Political boycotts are a form of protected expression. So why is New York’s governor trampling this constitutional right? This, however, is precisely what New York State Governor Andrew Cuomo tried to do when he signed Executive Order 157 on June 5. The executive order requires the state to create a blacklist of institutions and companies that engage in or promote boycott, divestment, and sanction (BDS) activities against Israel—and then further requires the state to withdraw or forgo investments in these blacklisted entities. The move has earned well-deserved comparisons to the red-scare tactics of Wisconsin Senator Joseph McCarthy. It is also unconstitutional. 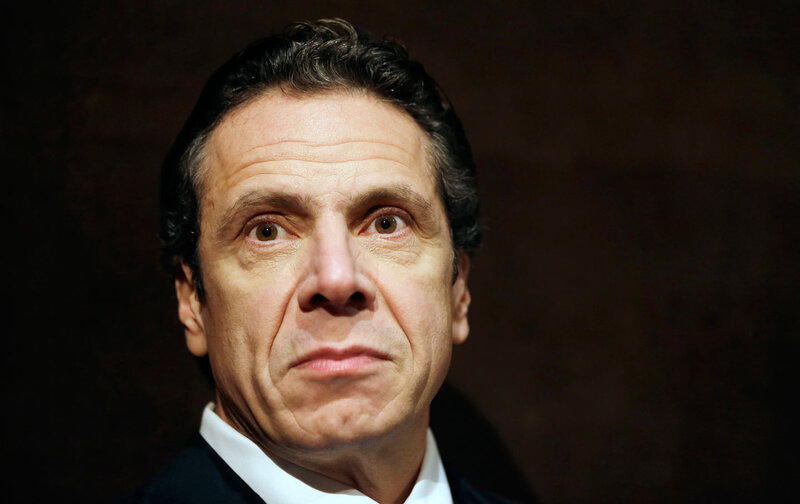 Cuomo announced Executive Order 157 unexpectedly, after months of wrangling in the New York state legislature around two similar bills. He seems to have been spurred to action after the legislature’s efforts foundered amid opposition from more than a hundred activist and civil-liberties groups. Indeed, the governor explicitly said he chose to deploy the executive order as a way to accomplish, with a stroke of his pen, what the legislature could not accomplish in its legislative session, presumably because of all of the constitutional and political concerns constituents raised. Now he is encouraging other governors to do the same. “If you boycott Israel, New York will boycott you,” Cuomo wrote in a June 10 op-ed in The Washington Post in which he attempted to justify his executive action as both righteous and constitutional. Wildly misrepresenting the BDS movement as a “politics of discrimination, hatred and fear,” he cast it as “new brand of warfare” and linked it, bizarrely, to terrorism. In perhaps the most preposterous distortion, he insinuated that BDS was the province of “those who reject our way of life”—a phrase that sounds more akin to the reckless jingoism of George W. Bush than a Democratic governor talking about a grassroots boycott movement. In fact, BDS fits within the highest traditions of protest in the United States. Based on a 2005 call from Palestinian civil society, BDS is a tactic to pressure Israel to comply with and respect international law by ending its nearly five-decade military occupation, granting equal rights to Palestinian citizens of Israel, and respecting the internationally enshrined right of return of Palestinian refugees. At a moment when all diplomatic efforts have failed, BDS offers a nonviolent way of getting Israel to face up to its responsibilities to the millions of Palestinians it continues to control by military force, the millions it discriminates against on a daily basis, and the millions more it has dispossessed over nearly seven decades. Its inspirations are the movement supporting the South African call for BDS against South Africa’s apartheid regime as well as civil-rights boycotts and farm-worker boycotts in the United States. As such, legal groups—including my organization Palestine Legal, along with the Center for Constitutional Rights, the New York Civil Liberties Union, and the National Lawyers Guild—have made clear that BDS falls squarely in the realm of constitutionally protected activity. Fundamentally, boycotts that are designed to “bring about political, social and economic change” involve protected First Amendment activities of speech, assembly, association and petition. The Supreme Court confirmed this in NAACP v. Claiborne Hardware Co. in 1982, a case brought by boycotted white business owners against the NAACP and other activists in Mississippi at the height of the civil-rights era in 1969. In its unanimous decision, the Court found that state action “against a nonviolent, politically motivated boycott designed to force governmental and economic change and to effectuate rights” could not be justified. Targeting the BDS movement, which has as its end forcing governmental action to achieve freedom and equality for Palestinians, similarly cannot be justified. Those who defend Cuomo’s order and similar legislation attacking BDS attempt to strip BDS of this First Amendment protection by claiming it is discriminatory conduct—that it targets Israelis because of their national origin—not political speech. But BDS efforts, which target an array of entities in an effort to halt Israel’s injustices against Palestinians, are no more discriminatory than a boycott of white businesses in Mississippi to address historical injustices against its black citizens. From this legal basis, Cuomo’s order presents further constitutional problems. By requiring that state agencies divest money and assets from entities because they express certain views, the order imposes an unconstitutional condition on the receipt of state benefits. The government cannot condition financial benefits on a requirement that a recipient adopt or renounce a certain political position. Imagine an institution having to renounce its divestment from fossil-fuel companies in order for it to be eligible for state investments. Admittedly, it doesn’t mean it can’t divest from fossil fuels, but it means that if it does, it will face consequences. Cuomo’s move has earned well-deserved comparisons to the red-scare tactics of Senator McCarthy. It is also unconstitutional. The order’s requirement that the state create a blacklist of companies and institutions that promote or engage in BDS also presents a blatant effort to chill First Amendment–protected activities. The order is so vague and open to interpretation that people have no idea what actions would qualify an institution for the blacklist. What constitutes “promoting” a boycott? Is a Facebook post publicizing a boycott sufficient to get you on the list? Signing a petition? Whom will the state hire to make these determinations? There is an undeniable irony in Cuomo’s eagerness to punish Israel-related boycott activity. He knows that boycotts are time-honored ways to engage in collective action against injustice. In fact, executive orders 155 and 156—the two Cuomo signed prior this one—were themselves issued in support of boycotts. In the first instance, Cuomo barred state employees from traveling to North Carolina and breaking the picket line against the state for its attack on the transgender community; in the second, he barred state employees from traveling on the state’s dime to Mississippi, following that state’s enactment of a law condoning discrimination on the basis of sexual orientation and gender identity. Yet Cuomo is not alone. His move, along with comparable laws that have been passed in other states, is part of an unprecedented assault on our First Amendment rights to speak out and to take collective action to advance Palestinian rights without fear of government sanction. Indeed, we have never seen legislative efforts of this magnitude deployed to silence and intimidate human-rights activists by blacklisting them and leveraging states’ economic power against boycotts. So far, anti-BDS laws have been enacted in nine states: Indiana, Illinois, Iowa, South Carolina, Florida, Alabama, Colorado, Georgia, and Arizona. At least nine other states have considered or are considering anti-BDS legislation this year, including Massachusetts, New Jersey, Pennsylvania, Ohio, and California. This doesn’t include county-level anti-BDS laws, including one recently passed in Nassau County, New York. One such law was ultimately rejected in New Castle, Delaware. The legislation is being pushed by an array of Israel advocacy groups, including StandWithUs, the American Jewish Committee, and local Jewish Federations, among others. Representatives of many such organizations, including AIPAC, were present when Cuomo signed the executive order. Tellingly, the legislation is also being championed by right wing groups such as the American Center for Law and Justice, whose agenda includes opposing women’s reproductive rights, immigrant rights and LGBTQ rights, and the American Legislative Exchange Council (ALEC), which was a primary force opposing divestment from Apartheid South Africa in the 1980s. And the right-wing Christian Zionist group Proclaiming Justice To the Nations has also taken credit for anti-BDS legislation, and has said it is working in dozens of states to get bills passed. One Jewish community relations expert admitted to Haaretz that advocacy by these groups had been critical to politicians’ interest in the legislation. “The notion that there are state legislators initiating action on a foreign policy issue without some approach by us in the community is implausible,” he told the newspaper. Earlier this week, on June 21, Palestine Legal, along with the Center for Constitutional Rights and Jewish Voice for Peace, filed a Freedom of Information Law request in New York in order to begin to understand what precipitated Cuomo’s executive order. We expect to receive documents exposing the extent to which Cuomo’s move was influenced by Israel advocacy groups, and even Israeli officials, whose interest is to silence a grassroots human-rights movement in order to shield Israel from scrutiny. It is a travesty that Cuomo and others are putting Israel’s interests in stopping boycotts above the constitutional rights of people in the United States. But dismissing the BDS movement as anti-Semitic, as Senator Chuck Schumer recently did when he vowed to emulate Cuomo’s effort in Congress, will not work, as more people refuse to ignore Israel’s outrageous treatment of Palestinians and this country’s support for it. The 2005 call from Palestinian civil society to stand up for Palestinian freedom and equality with the power of collective action is being answered around the United States. Students, scholars, labor unions, churches, and other institutions are signing on to BDS efforts. Cuomo’s actions are part of an unprecedented assault on our First Amendment rights to speak out for Palestinian rights without fear of government sanction. In turn, Israel and its defenders in the United States are pouring energy and resources into bludgeoning this growing grassroots movement into silence and inaction. As the Palestine Legal and the Center for Constitutional Rights thoroughly documented in our 2015 report, The Palestine Exception to Free Speech, Israel advocacy groups in the United States use their heavy weight to pressure government actors and public and private institutions into condemning, censoring, and punishing advocacy for Palestinian rights. Such a reaction is a testament to the increasing effectiveness of the BDS movement in shattering the sense of business-as-usual in Israel and the United States. It is also a testament to how far organizations like the AJC have veered from their days as champions of freedom, justice, and equality for oppressed populations in the United States. We can at least be grateful that the AJC weighed in then, and helped to ensure that boycotts—even those that it now dislikes—are First Amendment–protected activity. History will eventually recognize their efforts to punish collective action for human rights as craven and wrong. And we expect the courts will do so too.